– Group Guitar Workshop for intermediate players is on Mondays, April 15, 22, 29, and May 6, 13, 20 at 6:30-7:30 PM. We will add a 7:30-8:30 PM class if enough interest so we have no more than 4 guitarists in a class. 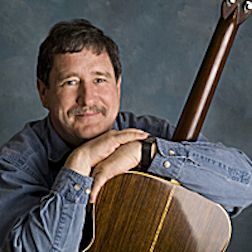 Blackstone River Theatre will offer continuing/advanced beginner FINGERSTYLE GUITAR classes with Ed Sweeney on Saturdays, April 27, May 4, 11, 18, 25 and June 1, from 3:00 to 4:00 PM. This will be small group class geared toward adults or teens age 16-and-up. Fee is $90 per student per six-week session. Minimum three needed to hold class, maximum five. The class is open to continuing / advanced beginners who need help tuning, forming basic chords, changing from one chord to another, and learning basic picking and strumming techniques. We will investigate basic music theory, ear training, and approaches to song accompaniment and students will develop correct posture and hand position, identify the parts of the guitar, learn basic chords and single notes in first position, and more. Participants must bring their own steel-string guitar! Blackstone River Theatre will offer a Group Guitar Workshop for intermediate level players with Ed Sweeney on Mondays April 15, 22, 29, and May 6, 13, 20, from 6:30 to 7:30 PM. This will be a group class geared toward adults or teens age 16-and-up. Minimum 2 and maximum 4 students. Fee is $90 per student per six-week session. Student must be able to switch from standard tuning into a different tuning. Student needs a solid knowledge of chords and changing from one chord to another in rhythm. Everyone will work on their own selected pieces as well as more complex arrangements and exercises that Ed presents to the group. Bring your own ideas and questions and Ed will help with your technique!